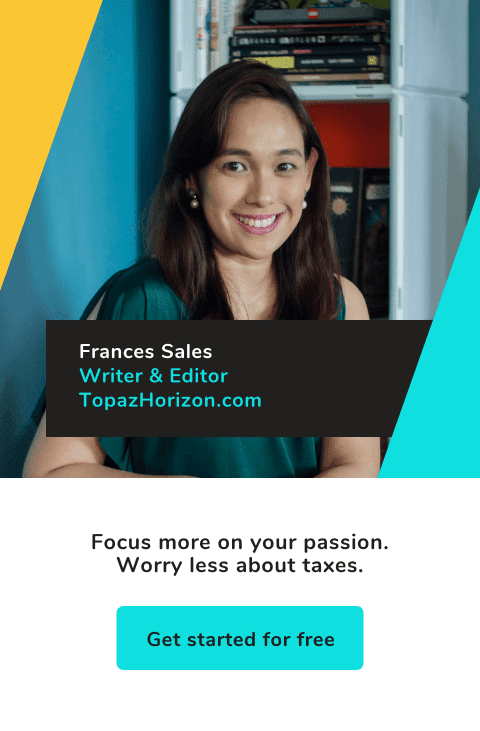 TOPAZ HORIZON: Get your financial life in order. Now na! 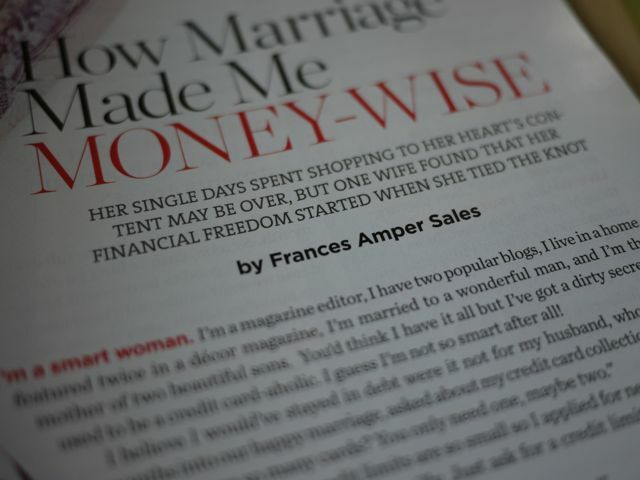 I wrote an article on managing money in Good Housekeeping a few months ago. I confessed there my shameful secret (credit card chaos) and how it affected my marriage and how Vince took control of my credit card kalokohan. After just one year of painfully following my husband's strict guidelines, I was free of debt, my finances were in order, and I am now a fabulously wealthy woman. Well, actually, that last part is still a wish haha. Super I wish talaga na yumaman na ako! Joke. I actually don't dream of money, you know? I dream of a nice house in a nice, secure neighborhood. I dream of traveling with my kids to any country in the world every year (and sana business class seats!). But most of all, I dream that we'll be ready for any emergency. After growing up and seeing my pets die (we can't afford a vet), my Mama and I suffering chronic pain and asthma (we can't afford medicines), and then—saddest of all—relying on the kindness of everyone who loved Mama to pay for her wake, funeral and burial, I am determined to see my family financially stable. Sonny Santiago can really coach you since he's been practicing in the field of Attitudinal Training for more than a decade. 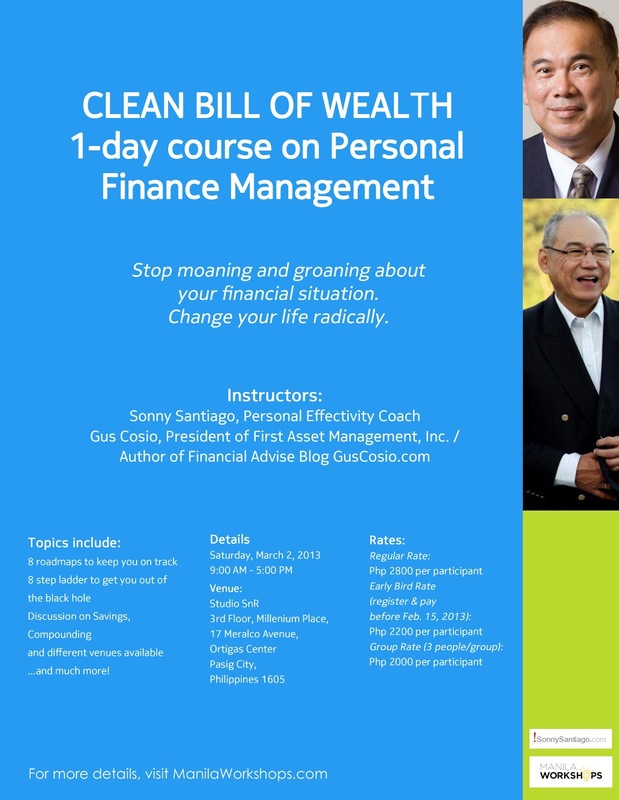 His clients include San Miguel Corp., Philippine Airlines and First Manila Corp. Gus Cosio is the President of First Asset Management, Inc., managing the mutual funds business of the country's leading investment house. 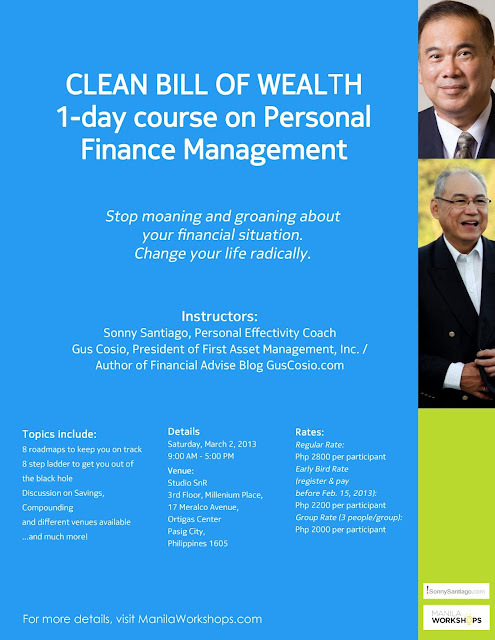 He also blogs at GusCosio.com, so if you can't attend the workshop, you can just read his blog where he dishes out great financial advice. P.S. Martine, favor granted! That's for all the free blogging tips you give me haha. I can't believe I missed that article! Do you still have a copy laying around? Or a pdf version? I need to read that! I'm also under credit card kalokahan and my husband is almost at the point of cutting my card! 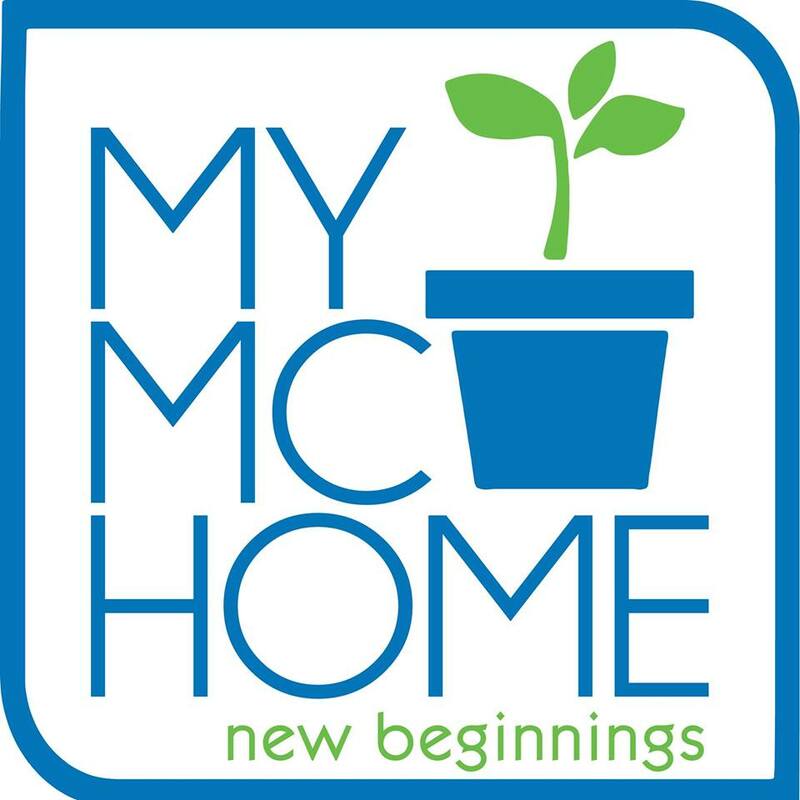 Thanks for sharing... hoping your financial posts inspire people to smarten up in their financial lives!